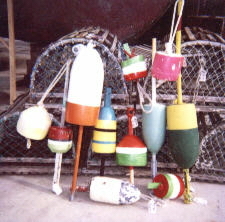 We have many different sizes, shapes, and colors of used lobster buoys. They are made of styrofoam and have an actual lobsterman's license number branded into them. Every lobsterman is issued a color scheme and number by the state to brand into their buoys. These have actually been used by lobstermen to mark the location of their traps out to sea! 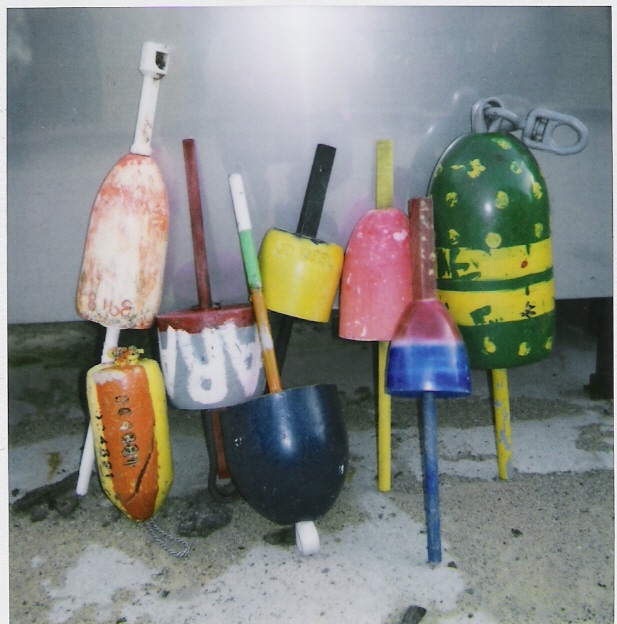 Used buoys may have nicks or gouges in them and the colors may be a little faded, so if you are looking for a bright, flawless buoy do not order these. 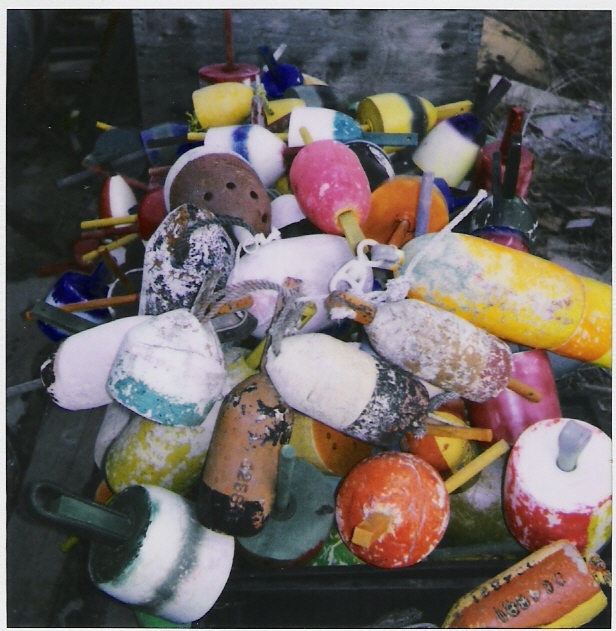 We offer new & brightly painted buoys on another page. We also offer NEW Wooden Buoys on another page. We do not sell USED WOODEN BUOYS, as they are antiques now and sell for over $100.00 each. PLENTY OF USED BUOYS IN STOCK! WE ACCEPT VISA, MC, & DISCOVER FOR YOUR ORDER. CALL (207) 363-7297 TO PLACE AN ORDER.